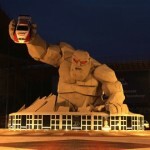 Talk about a Monster Mile. 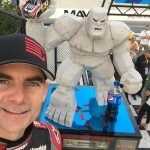 The AAA 400 devoured one of the biggest names in the sport and might mark a massive shift in the rest of the 2015 Sprint Cup season. Here’s a breakdown of winners and losers from a surreal weekend at Dover. So Jamie McMurray didn’t advance to the next round of the Chase. He got there, finished fourth and looked like he belonged. Even though the team didn’t advance, this season is a significant step forward. Kyle Larson also had a nice run, continuing the “Kyle Larson is a name to consider for 2016” discussion. Ganassi also avoided the first major fore at Larson’s services. The Tony Stewart wanted Larson to replace him talk felt somewhat buried under the larger narrative of Stewart’s retirement, but it shouldn’t come as a surprise. Young and talented drivers a precious commodity. As retirement talk turns into retirement, Larson’s name will continue to come up in Silly Season discussions. The more Ganassi proves it can consistently contend, the better the chances of keeping Larson in the fray. 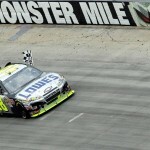 What is the equivalent of Jimmie Johnson’s Chase collapse at Dover? It was the No. 48’s best track where he won earlier in the year. This would be like Ohio State or Alabama losing the national title at home. It’s surreal. Here’s the bigger issue for Hendrick. Dale Earnhardt Jr. barely qualified for the next round. Jeff Gordon is trying to out Ryan Newman Ryan Newman to Homestead. Neither look like a title contender right now. And with Kasey Kahne sputtering and Chase Elliott a rookie next year, Hendrick’s 2016 Sprint Cup hopes don’t look as good as his 2015 Sprint Cup hopes. You wonder if they come calling for Larson in 2017…. The good news is all four drivers qualified for the next round. The bad news is none of the four ran well Sunday. For a team that has owned the last three months of the Sprint Cup season, that’s big news. Maybe it’s just a bad week. But as Team Lowe’s can you, one bad week can destroy an entire year. 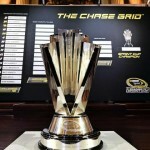 The final 12 contender for the 2015 Sprint Cup head to Charlotte Motor Speedway. 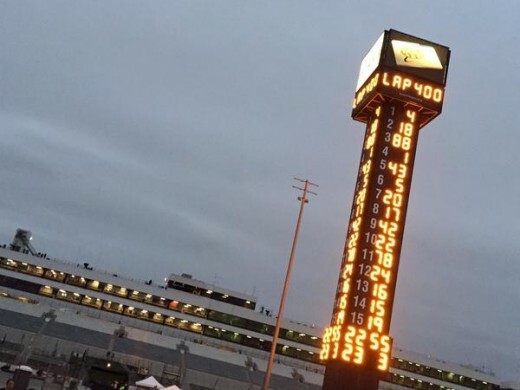 Enjoy the next round of NASCAR playoffs, and insert a random catchphrase here.